Digital media has come a long way and can today be rightly called the face of world media. Television audience is slowly moving to digital media for news and entertainment and with time the online traffic is increasing by the day. It is yet another feather in the cap of PK Online a digital media company, which has crossed 50 cr video views and 200,000 subscribers mark on its Youtube channel. Cinecurry channels cater to various languages and genres. They have dedicated channels for Tamil, Telugu, Kannada, Marathi and Urdu. In addition to Entertainment they have covered genres like Devotional and Lifestyle. 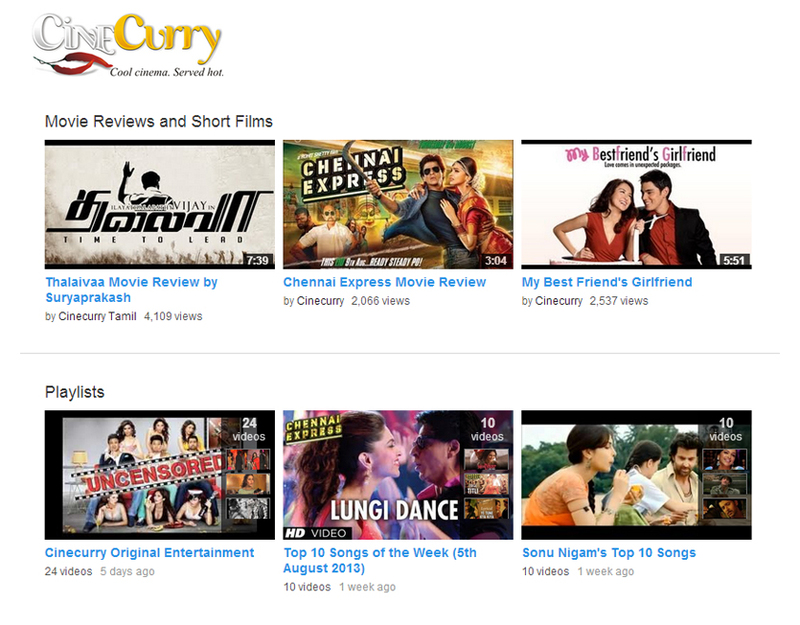 Cinecurry has tailor made videos to suit the format due to which 44.4% views on these channels come from mobile devices. They have also started creating their own Entertainment Videos with opinions on everything Filmy. Apart from videos they also post movie reviews and create original short films. With increasing competition on social networking websites and other online portals, this is surely something which is noteworthy. With achievements such as these it is but obvious that PK Online is going places in the digital media industry.